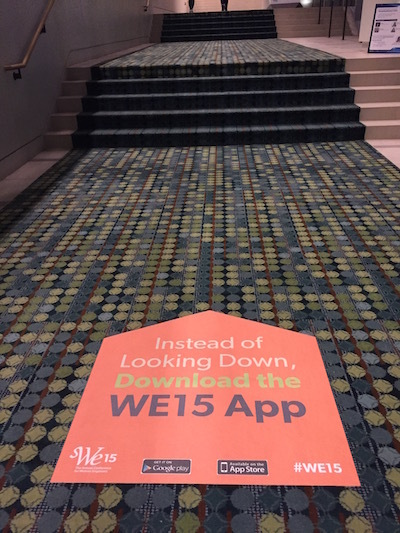 Last week at SWE, we saw a great way to market your event app: A huge sticker on the floor visible to anyone who is heading to the registration desk. We wanted to make sure we share this idea. If your attendees and exhibitors don’t have time for your emails, they won’t miss the sticker on the floor! For more tips on event app marketing and to increase downloads, check out our free paper.